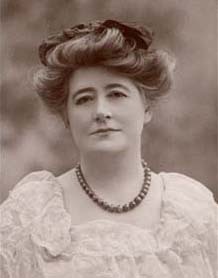 Ellen Terry was a renowned Shakespearean stage actress. In her eloquent seance, she assures us that there is no need for anyone to fear crossing from our world to theirs. She says that man has created death in ignorance and foolishness. In the afterlife, she explains, there is a place for everyone according to his or her condition. She finds it impossible to describe advanced spheres, and the colors there are beyond description. They can be compared only to the rainbows of the earth. You will hear the voices of George Woods and Betty Green as well.